Features: Sturdy; Variety of Colors; Retro-Vintage. 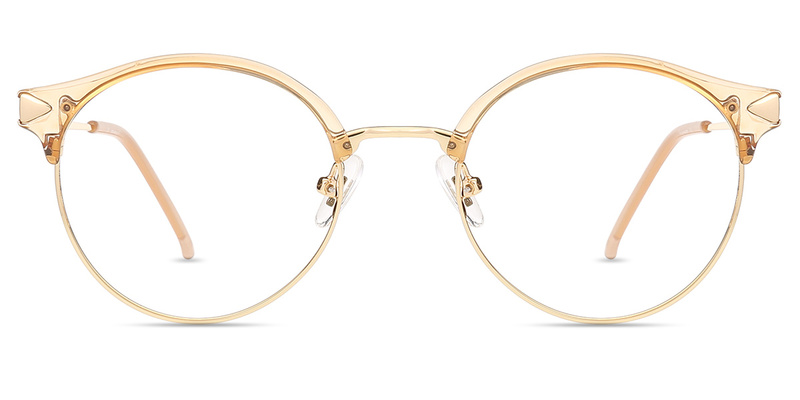 #S1420 by Firmoo is a Metal-Acetate frame with adjustable nose pads in small size. 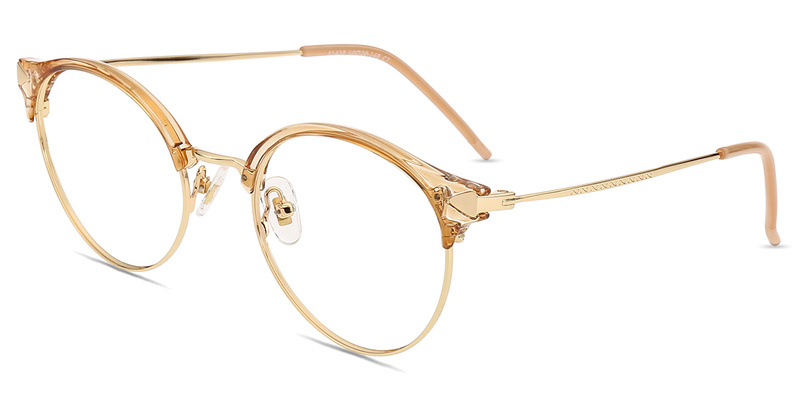 This frame features a translucent brow in a variety of colors over the gold rim, which looks very adorable. 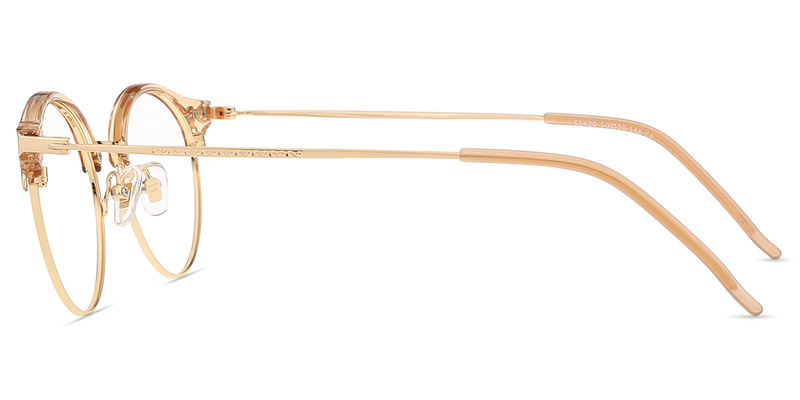 The retro design plus custom carving makes your everyday eyewear extremely unique.